A 6-year-old girl in Oakland was struck by what was believed to be "celebratory gunfire" during a family New Year's party, according to police. Cheryl Hurd reports. A 6-year-old girl in Oakland was struck by what was believed to be "celebratory gunfire" during a family New Year's party, according to police. The girl is said to be in stable condition at the hospital, according to police. Based on a preliminary investigation, the girl was hit by a stray bullet sometime before 2 a.m. Tuesday along the 9600 block of Thermal Street, according to police. She was playing in the backyard of her residence during a family New Year's party when she was struck. A man who identified himself as the homeowner but did not want his name used said sometime after midnight, the 6-year-old fell down in his backyard. The girl’s father initially thought she had tripped and somehow hit her head. It wasn’t until they got to the hospital that he realized a bullet was lodged in his daughter’s head. Oakland Officer Johnna Watson said: "We believe it is celebratory gunfire." 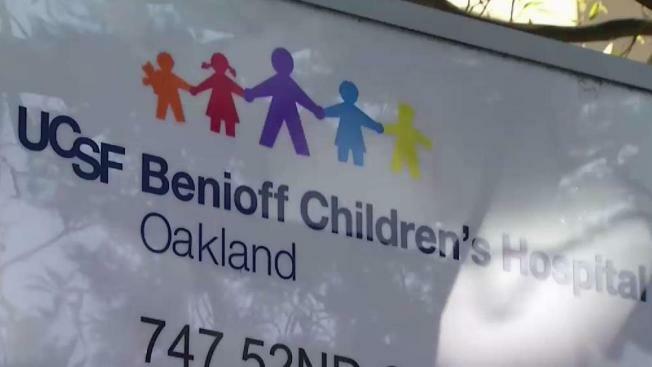 Oakland police Chief Anne Kirkpatrick was seen Tuesday carrying a giant teddy bear into UCSF Benioff Children’s Hospital Oakland on a visit to the girl and her family. Kirkpatrick had this to say for the person responsible: "I hope it pierces your conscience to know that your gunfire resulted in the critical care of a 6-year-old, and I would ask you to come forward." Anyone with information regarding the case is asked to call the Oakland Police Department's Felony Assault Unit at 510-238-3426. Authorities are offering a reward of up to $5,000 for any information that leads to an arrest.